One hundred and twenty young people from twenty-one secondary schools across the archdiocese of Dublin were among the 2,000 pilgrims who left for Lourdes on Sunday. 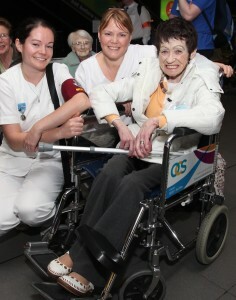 The students will assist in the care of sick pilgrims taking part in the largest religious pilgrimage to leave Ireland annually. Throughout the pilgrimage some of the students will blog about their experience through Dublin diocesan social media sites. 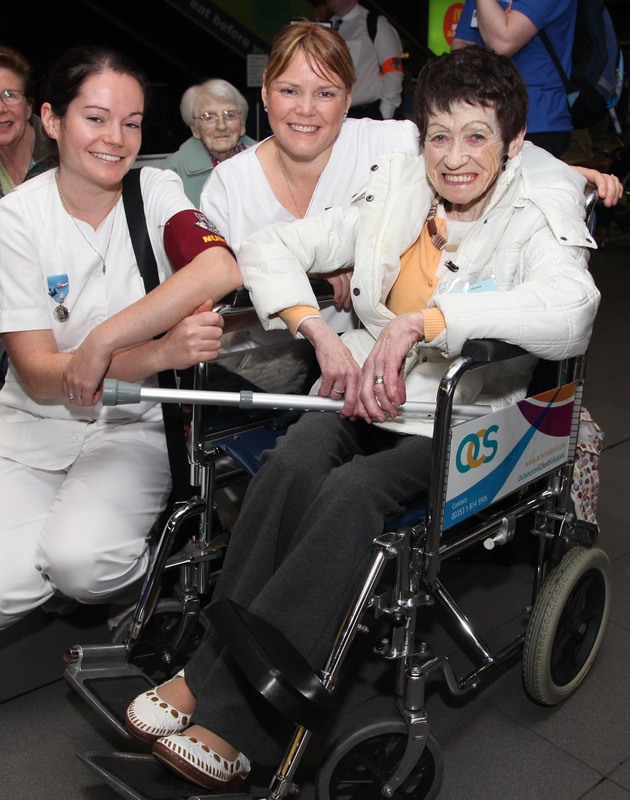 From 6am on Sunday morning, seven specially chartered flights left Dublin airport with 175 sick pilgrims, 60 nurses, eight doctors and 560 volunteers, including 300 young people and students along with parish groups. Representatives from Crosscare, the social care agency of the archdiocese of Dublin also travelled to the French shrine along with representatives from the Diocesan Office for Evangelisation and Ecumenism. Music for the pilgrimage is being provided by the Dublin Lourdes choir, while the pilgrimage is being led by Archbishop Diarmuid Martin of Dublin. The theme for this year’s pilgrimage is ‘The Joy of Conversion’. Representatives of fourteen Dublin parishes are travelling in the group. Sick pilgrims will stay in the Accueil Notre Dame, a residence built in 1997 which provides accommodation and support for up to 900 sick people. Irish people staying or visiting in Lourdes over the coming week have been invited to participate at any time during the week in the liturgies organised by the Dublin pilgrimage. Meanwhile, the pilgrims were remembered in prayer at Sunday masses in parishes across the Dublin archdiocese. 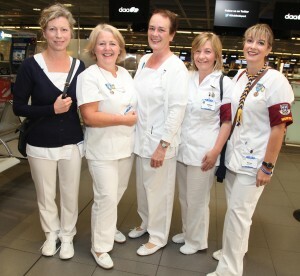 This is the 65th Annual Dublin Diocesan Pilgrimage to Lourdes. 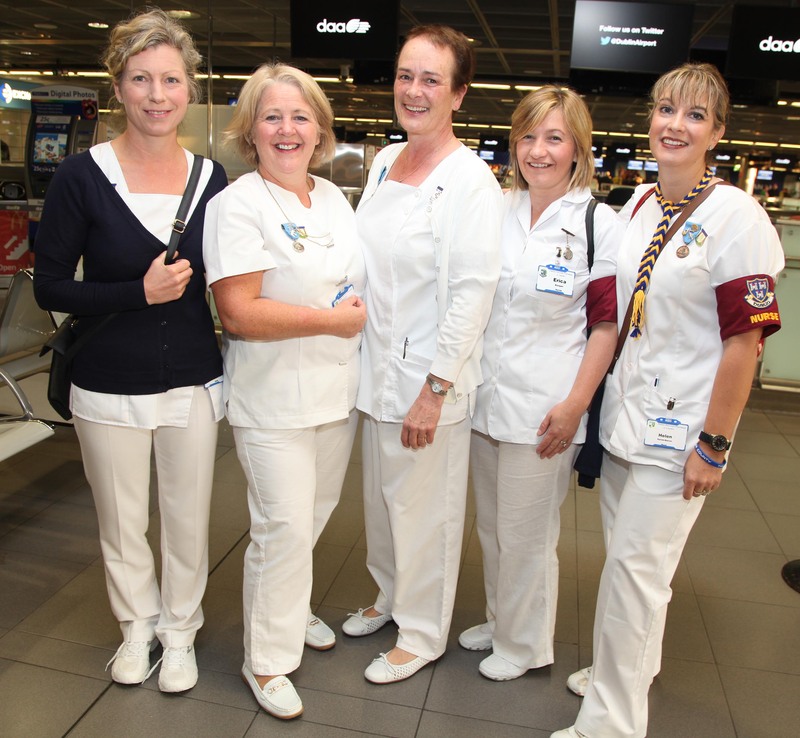 Nurses Tara Curran, Ann Breen, Alice Griffin, Erica Keogan and Helen Dunnebarron preparing to leave Dublin airport on Sunday morning on the Dublin Diocesan pilgrimage to Lourdes. Pic John McElroy. The first pilgrimage began on Monday morning 8 August 1949. That group of pilgrims, including 38 sick, gathered in St Andrews Church, Westland Row in Dublin for a special mass at 9am presided over by Archbishop John Charles McQuaid. The Archbishop gave his blessing to the pilgrims before they left for special trains to Dun Laoghaire to embark on the Steamer SS Princess Maud for Holyhead. They continued on to London for an overnight stop. Continuing the next day for Folkestone and Boulogne and then by non-stop train to Bordeaux. Here, there was a short stop for Mass in the Cathedral and then on to Lourdes, arriving several hours later. The journey took almost two and a half days.